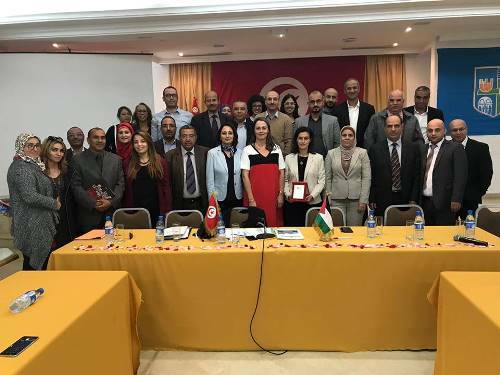 Ramallah/Tunisia – MIFTAH and ARIJ [Applied Research Institute Jerusalem] recently capped off a study visit to Tunisia during which they held meetings with government and civil society institutions in the capital, Tunis. The tour was aimed at exchanging expertise and knowledge between both the Palestinians and Tunisians in adopting the criteria for good governance in financial and tax policies. The importance of the Tunisian experience is that it is a living example of practical application in the democratic transitional stage. It paved the way for the institutionalization of true partnership among all sectors of the Tunisian people and guaranteed a safe and smooth transition that guaranteed a balance among all influential forces in Tunisian public affairs in translating the transitional approach into the democratic phase. This has meant that the Tunisian elite, in all its components, is determined to institutionalize a political democratic, civil system based on the foundations of citizenship and human rights. The visit included several meetings with Tunisian civil society institutions and government ministries which briefed them on their institutionalized work, its contribution in preserving the democratic transition and ensuring the participation of all Tunisians in representing the interests of its sectors and the practical application of the principles of good governance. These are represented in the right to participation, the rule of law, transparency, effectivity, accountability and integrity. The agenda of the visit began with a meeting between the Palestinian delegation and the consultative council for the Aryanah Municipality, which is one of the biggest municipalities and whose mayor is also a woman. 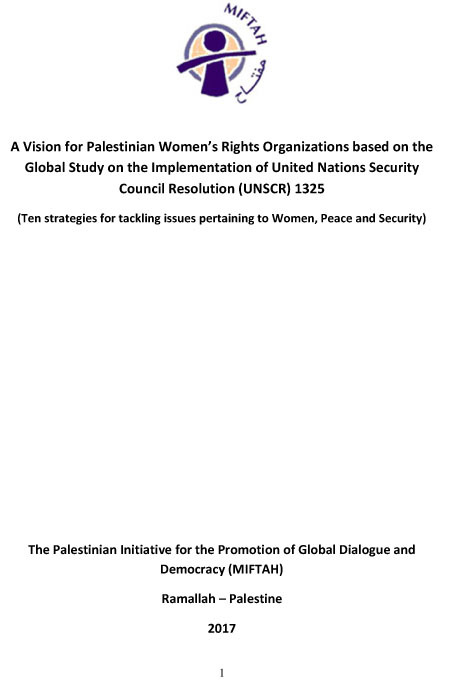 During the meeting, the Palestinian experience was showcased in furthering the standards of transparency in public fiscal policies, which resulted in the institutionalization of strategic cooperation between the public sector and civil society organizations. Meanwhile, the Aryanah municipality experience was more focused on the space the council provides for citizens in order to increase their partnership in planning development projects and holding the municipality accountable for its budget expenditures towards improving the quality of services it provides. 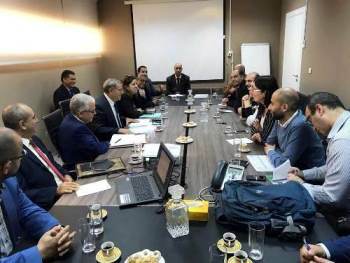 Furthermore, a number of meetings were held that included representatives from civil society institutions, including the “Busala Institute”, the Tunisian General Labor Union, The Center for Training and Decentralization Support and the Independent Higher Commission for Elections. These are considered the parties with an active role in drafting legislations and draft amendments for laws pertaining to fiscal and tax policies, which aimed at achieving social justice through responding to marginalized social sectors. This is in addition to their role in promoting a culture of dialogue based on respect for the political, social and economic rights of citizens and contributing a transition towards democratic stability. The role of youth was highlighted in this experience in terms of elevating the concept of volunteer work and promoting monitoring and accountability in public performance. The visit also included a meeting with Local Affairs and Environment Minister Mukhtar Hamami and his ministry team. 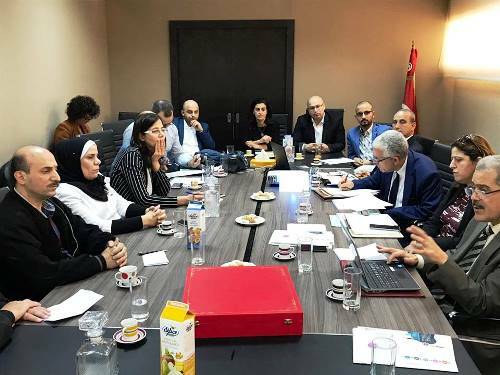 They briefed the Palestinian delegation on the latest developments and progress in the application of a comprehensive plan to institutionalize a new administrative system for local bodies throughout Tunisia, based on decentralization. This, they said, was to guarantee effectivity and quality of services offered to citizens and their access to them. The plan is based on administrative divisions beginning from the local council and state through to the region to maintain the balance of regionalities in Tunisia. The meeting also included a presentation of the most important practices in the Palestinian experience, represented in ensuring the continuity of local council elections in spite of the political circumstances in the Palestinian territories. These include the daily harassments of the Israeli occupation in addition to the political division and its impact on the Palestinian social fabric. In addition, they showcased the contributions of civil society in guaranteeing the values of good governance and transparency in fiscal policies by official government parties. The study visit was capped off with a meeting of several OXFAM-Tunisia partner institutions where the most significant challenges facing Palestinian civil society were highlighted given the instable social, political and economic environment it operates in. This, they said, increases the burden on these institutions. 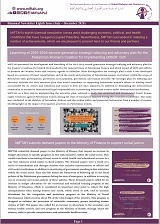 Furthermore, the group was presented with the challenges facing civil society organizations in Tunisia, which mostly revolved around the caveats of the transitional stage, which they warned, could drive the region to the point of no return. This it was maintained, requires that civil society assume a responsible role in guaranteeing a democratic path in response to the aspirations of the Tunisian people.